Shortly after take-off in New York, captain Chesley “Sully” Sullenberger’s plan hits a flock of geese, wrecking both engines. Quickly losing altitude, the plane is too far from the nearest airports to land in time, so he ditches in the Hudson River, the longest and (relatively) flattest expanse in the city. Despite saving the lives of all 155 people on board, the subsequent inquiry and simulations of his flight based argue that he could have made land. Sully and his co-pilot (Aaron Eckhart) have to prove their decision was the right one. 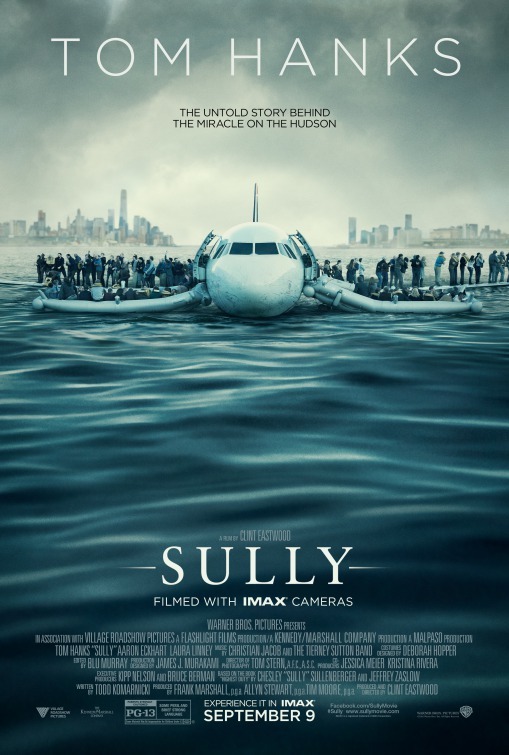 Sully (or as it also known, Sully: Miracle On the Hudson, making it sound like a TV movie version of the story) continues the documentary like feel of disaster dramas of late. Following Deepwater Horizon, that utilised the public inquiry documents to base the script on when BP officials closed ranks on their employees contributing. 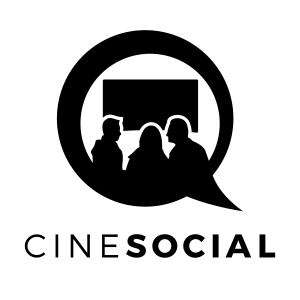 It might become the standard for screenwriters in the future. Perhaps I’m turning into an old movie reviewing goat now, but I hanker after the daft cliches, preposterous rescue scenarios and dull, stereotypical characters of the 70’s disaster drama, when your Towering Inferno’s (1974) knocked the box-office hell out of more esteemed fare like The Godfather II. Based on pilot Sullenberg’s book Highest Duty, the film scores highest during the torturous, finger-pointing evidence sessions and inquiry that follow the incident. This is despite the fact no lives were lost during this remarkable (and apparently impossible) procedure, but director Clint Eastwood and writer Todd Komarnicki are loud and clear that in the immediate months following the credit crunch, the airline that owned the plane wanted to know why Sully hadn’t just turned the plane and headed back to land, thus ensuring the safety of their property. An egregious, pernickety reason to put someone on mock trial. The script, like Deepwater, gets bogged down in technical acronyms and airline phraseology, so the audience feels rather like the hero at times. We face a bewildering interrogation too. Interrogation is a key word for this film, as Sully encounters grillings from all over. His stressed wife handling the media onslaught at home (Laura Linney, yet again creating an impact with an admittedly throwaway role), US TV news darling Katie Couric (playing herself), even his union reps come armed with questions. The flash-back structure deployed in the script creates the feeling that Sully is undergoing multiple, confusing thought processes, but eventually gets tongue-tied in its intricacies. We see Sully as a teenager with his father flying an old bi-plane; sweet, but wholly unnecessary. He relates verbally his long career as an aviator; this is just honey-hued screen fodder. This role is the kind of morally upright, incorruptable but very human ‘hero’ (although Sullenberger would balk at the term himself) Tom Hanks can play to perfection. Its almost off the peg, the kind of person he unzips and slips on whenever the cinematic occasion requires it. That Sully is presented as the very essence of dignified, calm professionalism, despite repeated, terrifying post traumatic stress disorder images of the plane crashing into New York’s skyline, and not the saint-then-sinner the media paint him as, is due to Hanks’ skill in crafting such a person. Aaron Ekhart also checks-in a fine and smooth turn, providing some light comic relief as Sully’s co-pilot Jeff Skiles whose belief in his colleague never wavers for an instant. The plane ditch is grippingly staged (the flight attendants mechanically crying “Brace! Brace! Brace!” becomes one of the most chilling movie lines) and shown three times as Sully doubts his actions and the inquiry collates, twists and misinterprets the data seemingly to suit a political agenda in favour of the airline. Producers: Clint Eastwood, Frank Marshall, Allyn Stewart. Music: Christian Jacob, Tierney Sutton Band.